The Character & Leadership Development programs empower youth to support and influence the Club and community, sustain meaningful relationships with others, develop a positive self-image and good character, participate in the democratic process, and respect their own and others’ cultural identities. 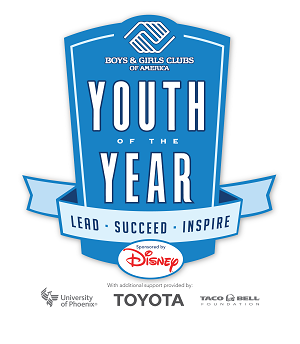 The National Youth of the Year program promotes and recognizes service to Club and community, academic performance and contributions to family and spiritual life. A BGCM Youth of the Year is chosen to represent the organization at the state level competition. State winners then move on to regional competition and five regional winners enter the national competition in Washington, DC. The National Youth of the Year receives a total of $26,000 in scholarships and is installed by the President of the United States. Torch Clubs are small-group leadership and service clubs for boys and girls ages 11 to 13. Torch Club is a powerful vehicle through which Club Staff can help meet the special character development needs of younger members. The Keystone Club is a unique leadership experience that provides opportunities for young people ages 14 to 18. Both in and out of the Club, youth participate in activities in three focus areas: academic success, career preparation and community service. With the guidance of an adult advisor, Keystone Club has a positive impact on members, the Club and the community.